Though it seems like a collection of party tricks, hand balancing and acrobatics can be a powerful internal practice that builds strength, focus, and unique body awareness. 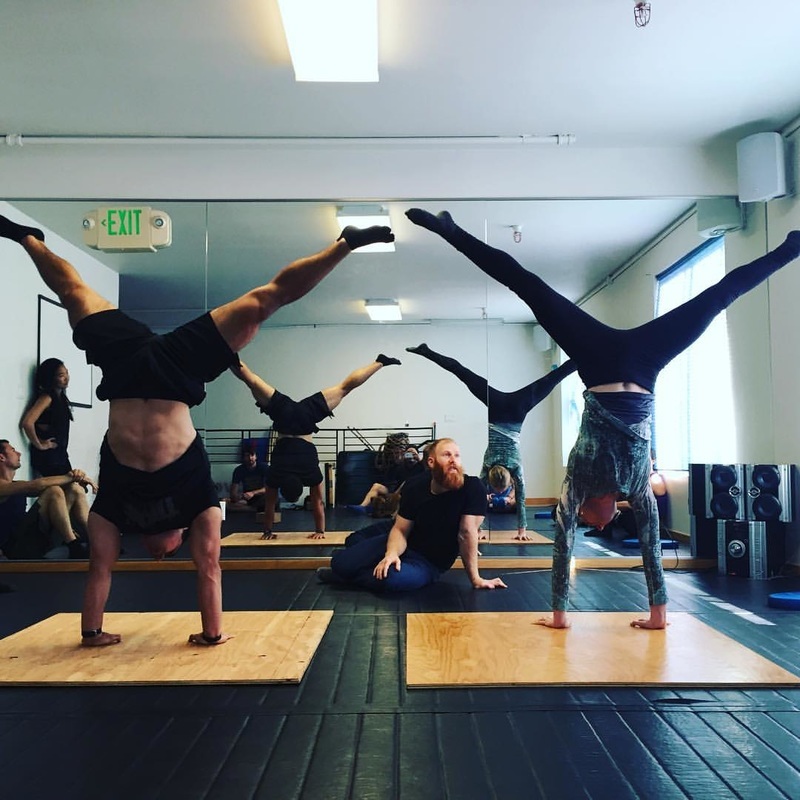 In this workshop we will cover elements of beginning, building, and refining a handstand practice. This includes physical preparation for the skill, learning how to get over the fear, and how to avoid making some of the more subtle but common mistakes that can hinder progress. Level permitting we can also discuss some more intermediate to advanced movements pertaining to the handstand. Following handstands, we will continue onto progressions for floor acrobatics. This portion of the class will utilize a combination of elements of gymnastics, capoeira, dance, and martial arts to create unique ways to challenge the body's coordination and move across the floor. We will discuss reactions towards falling in different directions, cartwheel and roll variations, skill specific jumping mechanics. Afterwards we will finish by learning some of the more accessible entry-level acrobatic movements. Level permitting, we can get into some more difficult elements. Note: The class is not set in stone, so actual materials covered will depend on the level of the group and what they are interested in learning. Open Level: All are welcome and can learn. Yuri grew up in Cleveland but moved to Las Vegas to pursue different goals. Though originally self taught in acrobatics, he made his way up to performing at a professional level both on the Las Vegas strip and Broadway. As a teacher, his background allows him a unique look into the adult learning process, being able to help anyone of any background get upside down. Yuri is a published author and currently balance his time between performing and teaching seminars around the globe.